Welcome to DayStar Farm & Kennels' website. I'm Janet Brown, and I live in North Georgia. 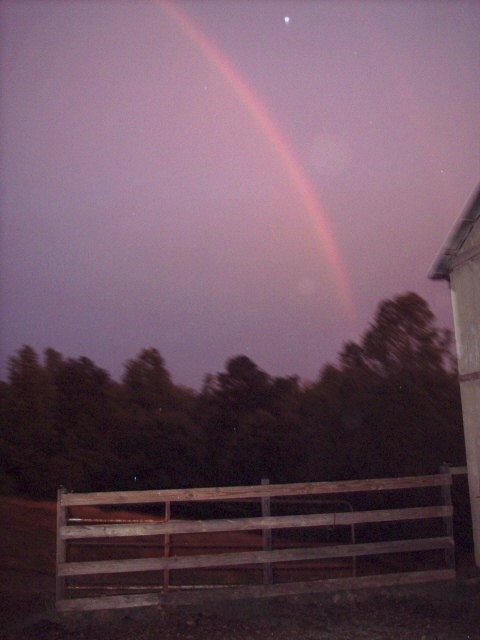 My home is DayStar Farm. A "daystar" is a guiding light to those looking for help. I think of Christ as my "daystar". I chose the beautiful picture on the "Home" page, since it reminded me of what a "daystar" or guiding light might look like. After some traumatic events & major losses had occurred in my life, I was searching for some Divine guidance and answers. Even though I had become a follower of Christ at the age of 16 years, I felt almost blinded and lost from the events that have recently occurred. As I prayed for guidance and strength, God led me to a wonderful Christian television network- DayStar Broadcasting. God used this network and its wonderful programming to help me so much. As I searched for a name that would show God's glory in my hobby with the dogs, I believe that God showed me that DayStar would be a very meaningful name for my hobby- hence the name DayStar Farm and Kennels. 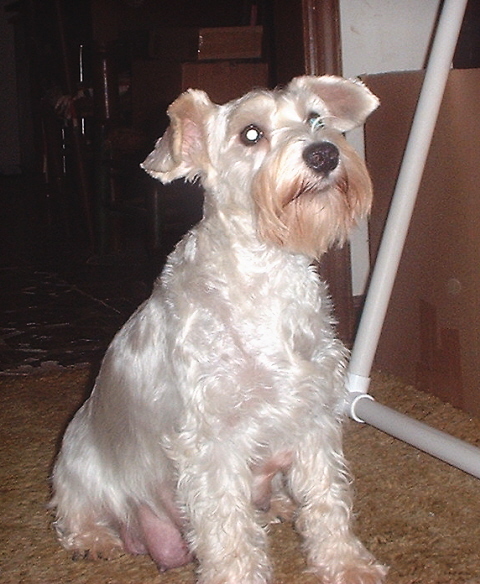 I have always had a love of Miniature Schnauzers, and was fortunate enough to own one many years ago. I never forgot that special little dog, Tosha. As a result, about 16 years ago I believe God brought two special little Schnauzers- Ozzie & Sharon- into my life. These little dogs began to help me come out of a very hard time in my life. In fact, acquiring these pups "changed the course of my life." As many of you know, it's hard "to have just two" Mini Schnauzers. 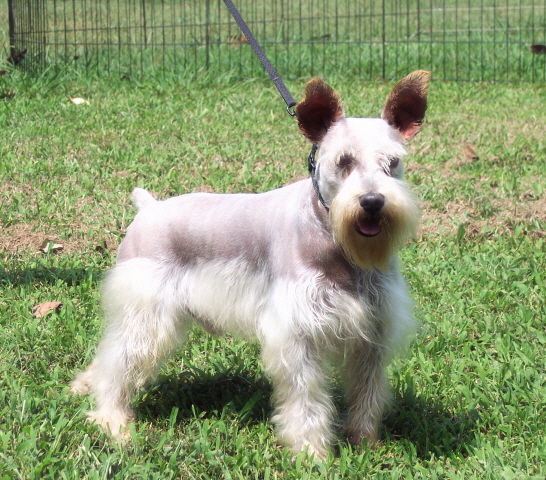 I have added many different colors and bloodlines of Mini Schnauzers since the beginning. After acquiring my first Schnauzers, I found myself researching and studying to decide in which direction I would go with my new "passion." Hence, with God's guidance, DayStar Kennels continues to be a blessing to me, and hopefully a way to share God's love with others. I have also loved the Shiba Inu breed of dog for many years. After doing research on their history and personality, I decided that this is another breed of dog I wanted to include in my journey. As the logo indicates, I strive to follow God's guidance in my life, to glorify Him in all I do, and to share His love with others as I go. GOD BLESS YOU & WELCOME!! and under His wings you will find refuge."